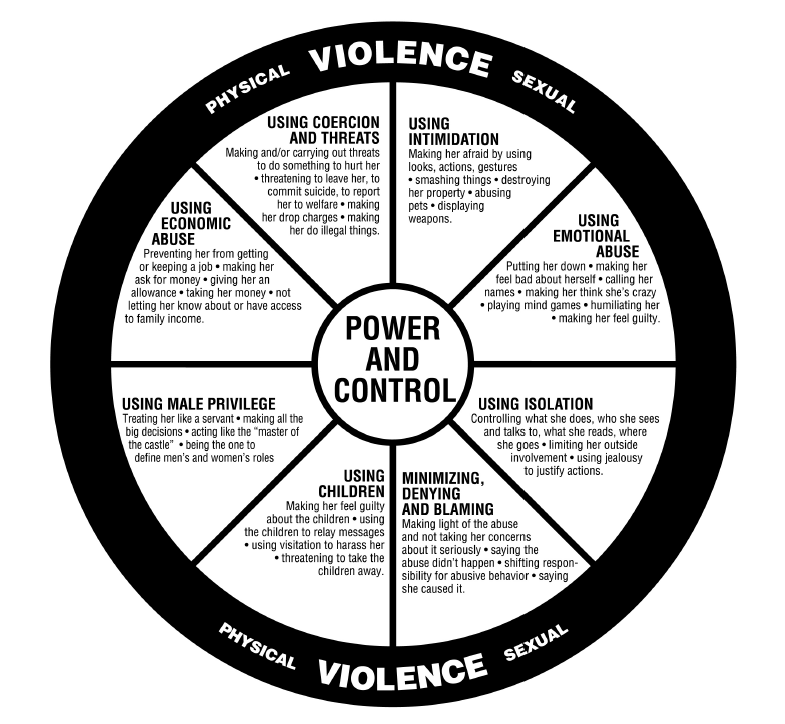 Domestic violence is a pattern of behaviors and tactics that one person uses over another to gain POWER and CONTROL. Domestic violence knows no boundaries with regards to gender, race, age, orientation, or socio-economic status - it does not discriminate. When we think about domestic violence, we often think about physical forms of abuse. While this is extremely serious, we recognize that there are other forms of abuse that can often be predecessors to physical violence or, can even be equally as damaging to the victim. Physical abuse is often the most commonly recognized form of domestic violence because the injuries are often visible. It is important to remember that physical abuse may or may not be part of an abusive relationship, but if it is, it typically worsens over time. If it is not, but other forms of abuse are present, physical violence may begin to occur during times of stress or change in the relationship (pregnancy, financial trouble, ect.). Emotional abuse is essentially part of every abusive relationship on some level. It makes the victim feel responsible for the actions of their abuser and over time, can have extreme negative effects on the victim's sense of self worth. Gaslighting is an extreme form of manipulation that causes the victim to doubt what they know to be true. Victims may begin to question their own memory, perception and sanity. Sexual abuse is any unwanted sexual activity, and can leave a victim feeling ashamed, embarrassed and humiliated. Financial abuse is a very powerful tactic that often keeps victims feeling trapped in the relationship. Lack of financial resources can be a difficult barrier to overcome when trying to leave a relationship, often being the reason victims return to the abuser.